Besides little nippers and toddlers, even adults are now into using baby shampoos for various dermatological reasons. The best part of using a baby shampoo is that it keeps you safe from those harmful chemicals that can create an everlasting hair fall and a rough hair texture. The no soda formulas of most of the baby shampoos give you shinier and softer hair without the expense of a beauty salon. The natural and gentle ingredients of most of the baby shampoo for adults form the prime reason why every age group in the family uses them. Although there is no special baby shampoo for adults so far, we have still jotted the list that can be referred by while shopping one for yourself. Baby care products are always safe to use for adults. Also, this is how you can save extra money on hair care products. Why you must be wise enough while choosing a shampoo? Fragrance: take a note that strong smelling shampoos can lead to more hair fall. They have more chemicals to produce nostril tickling scents. Say “no” to them. Parabens: parabens? What are they? Well, even I was not aware of them during the inception. But, Gradually I learned about them. Parabens are group of chemicals that can lead to reproduction disorders. They can reduce the sperm production and induce asthma attacks. Hence, any shampoo that comprises of paraben must be instantly rejected and the natural ones should be selected. Formaldehyde: if you have some sort of respiratory disorder, do not pick up a shampoo that is infused with formaldehyde. Formaldehyde can result in temporal nausea and headaches. In such all the cases baby shampoo works best. However, you must always buy a shampoo that belongs to well-known brands. Not all companies sell mild shampoos in the name of dermatological products. Some may do it just for inflating their sales. A trusted baby shampoo brand would possibility provide you with a satisfactory blend of natural ingredient and chemical free formulation. 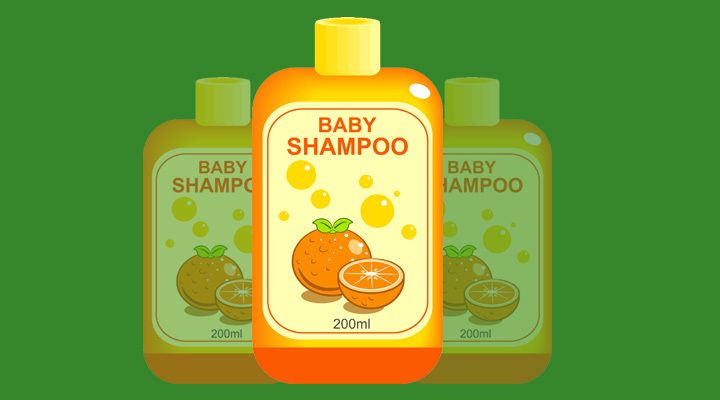 Why is baby shampoo a safer alternative for every age group? You know it better! Anyways, emphasizing on technicality, baby shampoos have all those ingredients that are skin friendly and safe. They do not lead to any kind of eye or skin irritation. Maximum of the branded shampoos comprise of sulfate as the key ingredient. Sulfate t is really harsh over the sensitive skin. Surprisingly, if you visit any parlor or a dermatologist, first of all they would you stop you from using a sulfate infused hair wash. When you commence with the usage of a baby shampoo, you are left with nothing else but a healthier scalp. Of course Johnson and Johnson baby shampoo deserves to top the list because of its exceptional quality and the price tag. Baby shampoos are generally quite expensive, but if you buy a Johnson and Johnson baby product, you won’t have to undergo a quality compromise on spending low. My scalp is extra sensitive because of which I was using Pantene`s mild version to clean it up. However, gradually I noticed a constant hair fall that made me tensed. Since I was not required to change my eating habits (as I am already a dietician! ), I decided to switch over to a milder shampoo. To my surprise, it worked within the first wash itself. Himalaya baby shampoo is another most trusted brand that gives you a high-end product at low cost. The baby shampoo for adults by Himalaya has it all to promote a better hair quality at a lower expense. You can try a small bottle at the initial stage for trying the quality. If satisfied, you can grab a bigger packing which is much economical in nature. The protein baby shampoo is vigorously mild. It comprises of natural plant sap that are beneficial for hydrating the skin. The tear free formula comes with a pleasant smell and an impressive packaging. The shampoo is definitely going to raise your standards once you use it. However, it should be noted that this particular shampoo wont lather as you might expect it to do. Are you looking forward for a clinically recommended baby shampoo for adults? Puracy Natural Baby Shampoo is your answer for it. The baby shampoo is highly beneficial to impart more suds and moisture to your scalp. It integrates citrus and 100% botanical extracts for cleaning the dirt away. The shampoo is a much better alternative to the typical dandruff free chemical shampoos floating in the market. I personally tried it to get rid from an itchy scalp. To my wonder, it worked really well. So, this shampoo deserves double things up from my side! The developers of the baby shampoo discovered that adults are equally fond of baby shampoos. Hence, they developed a special formula that worked wonders over the adult scalp and met all their expectations. California Baby Super Sensitive Shampoo is enriched with all those ingredients that induce rich lather formation. It is a nice body wash at the same time. The product is somewhat pricier and is available at limited ecommerce sites. Also, the smell is not as impressive as it specifically comes with “no chemical” formula that fails to give it adequate fragrance. The Babo Botanicals Moisturizing Baby Shampoo can be bought in 16 ounce bottle for the economical reasons. The shampoo is known for hair smoothening and scalp nourishment. It is blessed with organic ingredients that won’t leave those dry patches anywhere on your skin. Even if you are suffering from eczema or any other dermatological issues, this is just perfect for you. With the plant based extracts and oat milk nutrition, The Babo Botanicals Moisturizing Baby Shampoo is the easiest to apply and rinse. The irritated and the dried skin can get healed with the vitamin enriched CeraVe baby shampoo for adults. The CeraVe Baby Wash is just safe for a body wash and hair wash equally. It integrates 3 essential ceramides that rejuvenate the skin in a new way. The tear-free formula is the best thing that you can have for yourself. It comes in 8 ounce bottle. Are you looking forward to a cent percent vegetarian baby shampoo? Here is the thing for you. The SheaMoisture Ultra-Sensitive shampoo comes with the gluten free formula that is specifically invented for the allergic skin type. The product is absolutely organic and is not animal tested. It lathers well and reduces any kind of skin irritation that you might have. The smell of the shampoo is just excellent. One of the best parts of being SheaMoisture Ultra-Sensitive baby shampoo is its cost-effectiveness and superior quality. The big packaging is priced at just $10 that is expected to last for couple of months. The Aquaphor Baby Wash is again clinically recommended. It is an extra mild shampoo that is suitable for all skin types. The pump bottle makes it easier to extract a perfect amount of shampoo at one go. It won’t leave any kind of flakiness or dryness behind. Aveeno is amongst the most trusted name when it comes to buying baby products. If you feel doubtful regarding the contents of an ordinary baby shampoo, give a try to Aveeno. I am sure you would get more than just satisfaction. The oat extract of the shampoo generates a rich lather instantly. The paraben free formula makes it an immaculate product. You can try any one of the baby shampoos for adults enlisted above. All of them have been tried and tested. We know how effective they are for resolving the skin issues. If in any case you are doubtful, do consult your dermatologist before beginning up with the usage of any. If you have been perfect in selecting a perfect baby shampoo for adults, the only downside that you might face is its lesser cleaning power. Baby shampoos are generally very mild to cut away the accumulated dirt and oil from an adult hair and scalp. Hence, it would be better to shampoo your hair twice. Try out Cocomo Shampoo + Conditioner. It is designed for kids but anyone above the age of 4 can use it. What about the conditioner?? Plz suggest the name..
Should I use conditioner after using baby shampoo! It’s up to you only. You may use herbal conditioner. I didn’t know CeraVe made a shampoo! I love their foaming face wash! Wow I never thought about this! You learn something new everyday! Wow! I never thought of using a baby shampoo before, besides when I was a little kid. But this is a good idea for people with sensitive scalps or those that want to avoid using harmful chemicals in their hair and scalp. I’ve used baby shampoo on myself before. I’ll only use products that don’t have sulfates and parabens. So I’m always really careful of what I put in my hair. I’ve used CeraVe before for my son, their products work like magic! I never thought about this. We have so much baby shampoo still from gifts when my kids were little. I do love the smell of them! This is a great list! I find some of the regular shampoos to harsh for my hair and will look into some of these instead. I use Himalaya too. Great list!